Mathieu, Joe. Very Good. 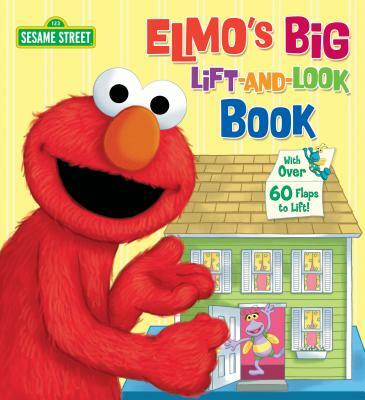 Elmo's Big Lift-And-Look Book (Sesame Street) (Great Big Board Book) by Ross, Anna, 1994-04-01. Lift-the-flap book. Sewn binding. Paper over boards. 12 p. Contains: Illustrations. Great Big Board Book. Intended for a juvenile audience. Mathieu, Joe. Good. Elmo's Big Lift-And-Look Book (Sesame Street) (Great Big Board Book) by Ross, Anna, 1994-04-01. Lift-the-flap book. Sewn binding. Paper over boards. 12 p. Contains: Illustrations. Great Big Board Book. Intended for a juvenile audience. Fair. Will show clear signs of use and may include ONE or MORE of the following: water damage to pages, loose binding, loose pages, & worn, bent or torn covers. Used books may not contain supplements such as access codes, CDs, etc. Every item ships the same or next business day with tracking number emailed to you. Get Bombed! !